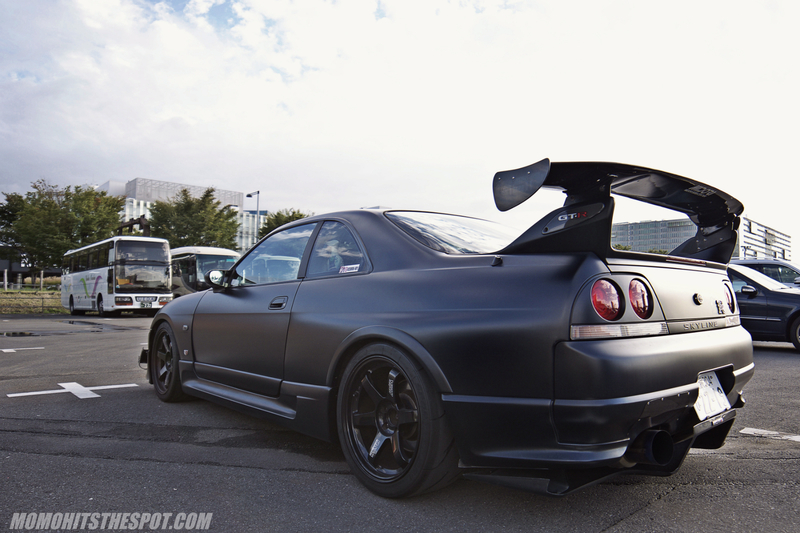 Tokyo Encounter: A Blackened R33 – MoMoHitsTheSpot! While on my last trip to Japan, my friends and I made plans to head over to Odaiba and check out the life-sized Gundam that’s on display. 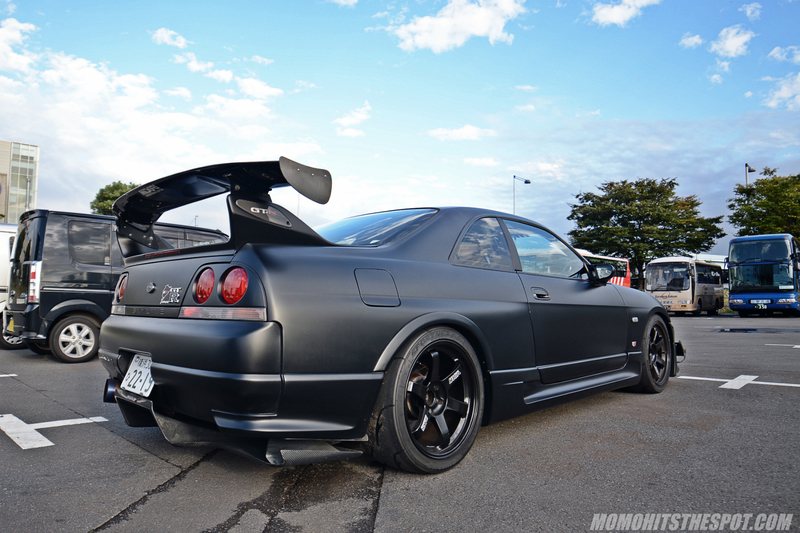 Coincidentally, that weekend was also D1GP so it made for a perfect opportunity to do some car spotting while we were there and boy was there some pretty decent cars in the parking lot. 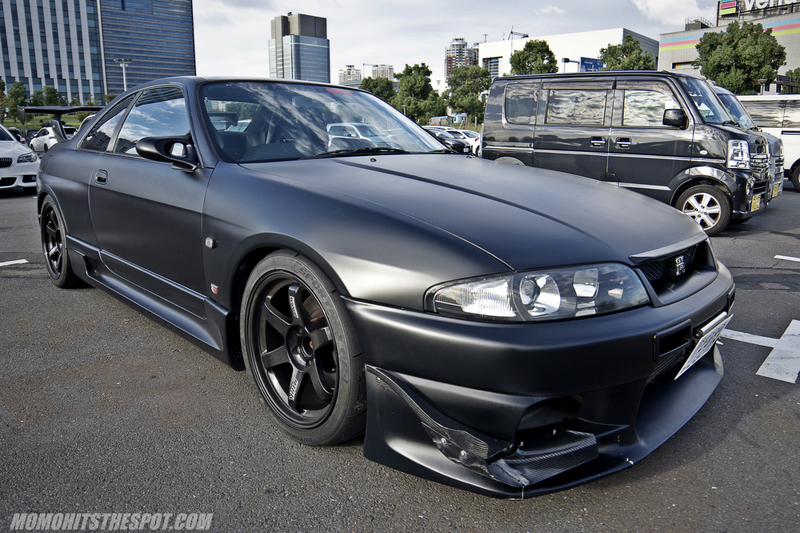 But the one that takes the cake was this blacked-out R33 GTR. 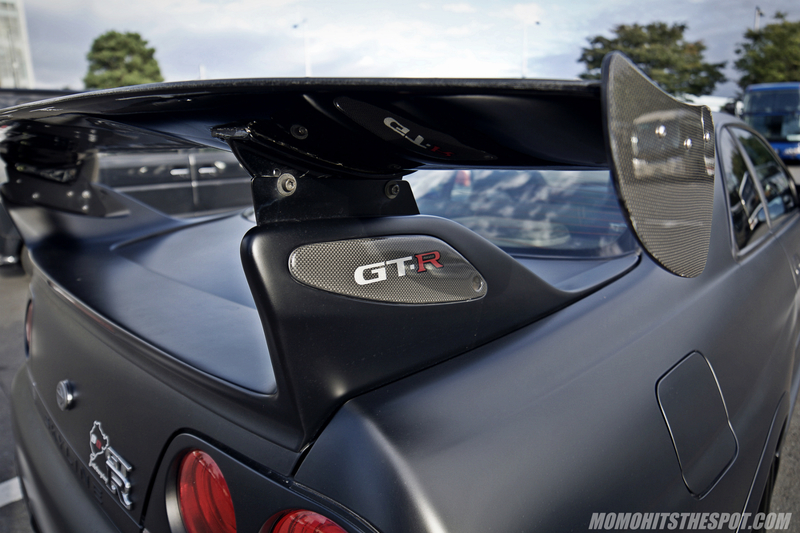 The rear end is nicely tied together with the Bee*R carbon rear spoiler up top and a Top Secret rear diffuser on the bottom. 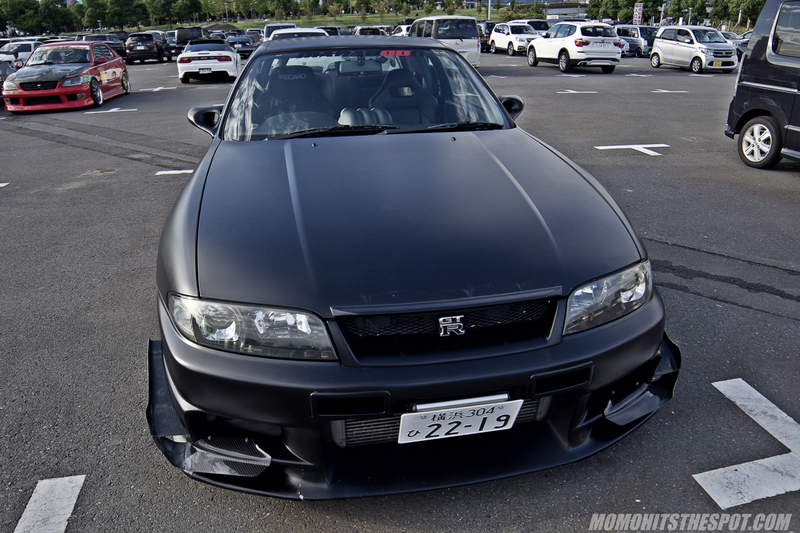 Front end consists of a Top Secret bumper that’s nicely accentuated by a set of Auto Select carbon canards. 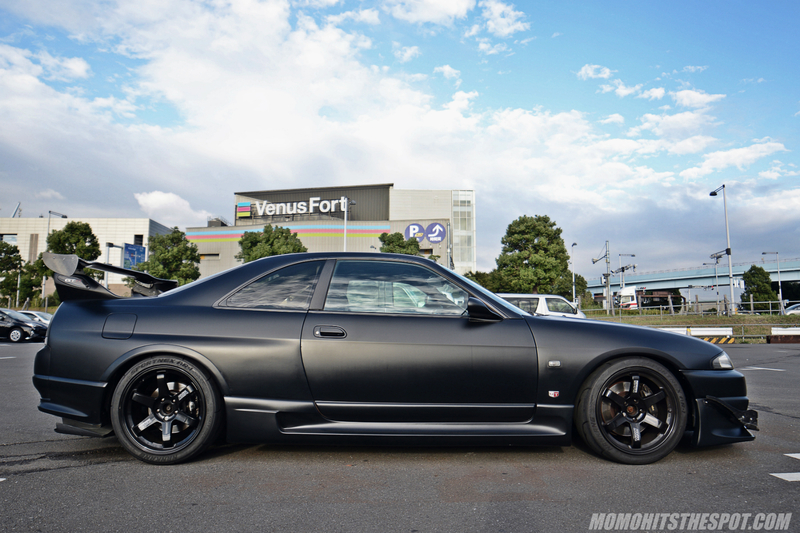 Gloss Black TE37s looks sensational against the flat black body. 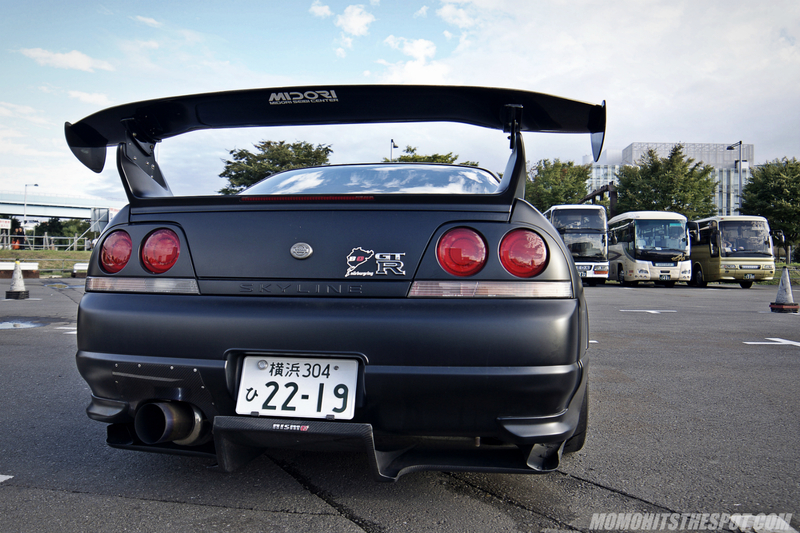 I love this specially designed wing for the R33, much better than any universal Voltex or other manufacturer selections. 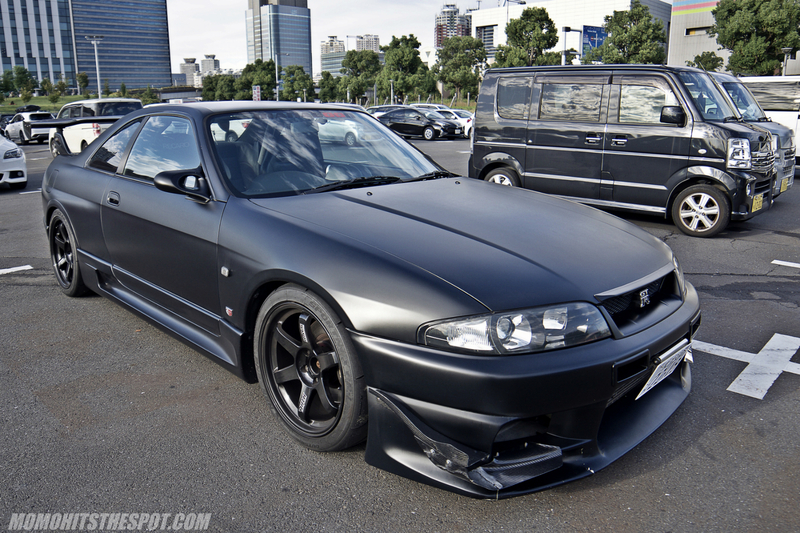 Even though the R33 will and probably has already gone down as the least favorite GTR of the bunch, this fine example goes to show that a cohesive and well selected list of aftermarket parts can go a long ways in retaining a car’s legacy.